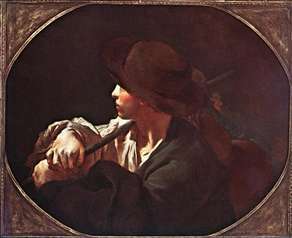 Venetian painter, son of a woodcarver, who studied under Giuseppe Maria Crespi in Bologna and was probably influenced by him to take up genre subjects. He settled in Venice by 1711, and after his death his family petitioned the State for a pension, claiming that his constant studies and his pursuit of glory rather than gain had reduced him to poverty and hastened his death . His works are comparatively few, and though appearing to be executed with speed and facility were the product of careful deliberation and infinite pains. He made many drawings for collectors and as book-illustrations in order to support his family; his work was much influenced by Rembrandt s etchings and his paintings evolve from Baroque contrasts of chiaroscuro towards a freer and more fluid Rococo handling. 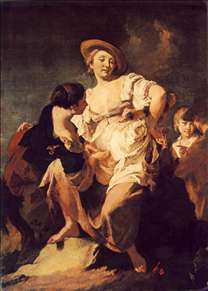 Piazzetta s influence on the young Tiepolo was very great and it was Tiepolo who completed the transition to the Rococo. 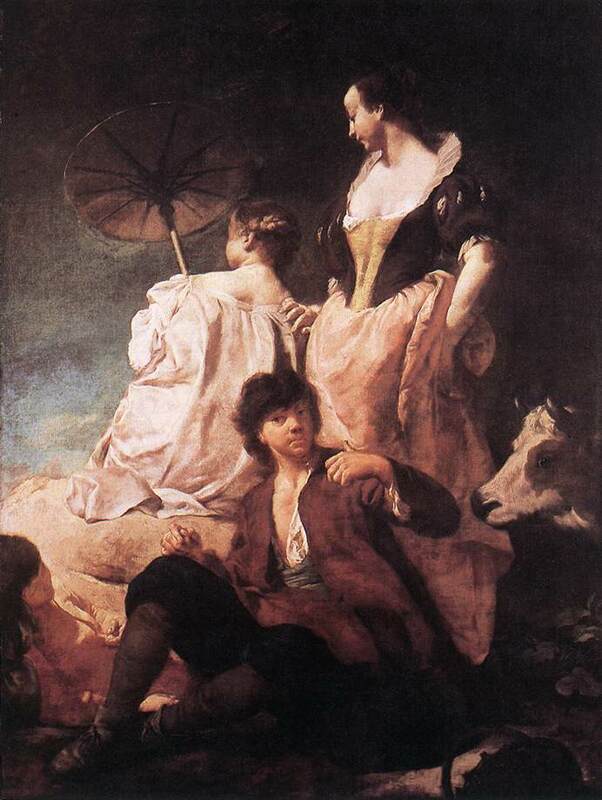 Most of his paintings are in Venice, including his only ceiling decoration, the Glory of S. Dominic, painted before 1727 (SS. 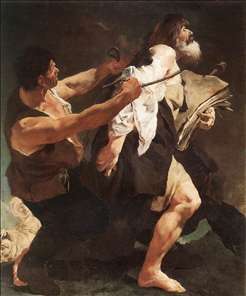 Giovanni e Paolo). Other works are in Birmingham, Boston, Cambridge (Fitzwilliam), Cologne, Cortona (S. Filippo), Chicago, Cleveland Ohio, Detroit, Dresden, Dublin, Florence (Uffizi), Hartford Conn., London (National Gallery), Los Angeles, Milan (Brera), New York (Met. Mus. 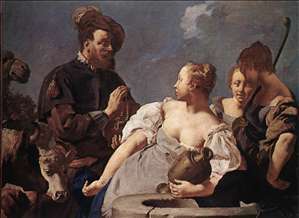 ), Padua, Paris (Louvre), Parma, Prague, Rome (Galleria Nazionale, Accademia di S. Luca), Springfield Mass., Stockholm, Vicenza, Washington (National Gallery of Art) and elsewhere. 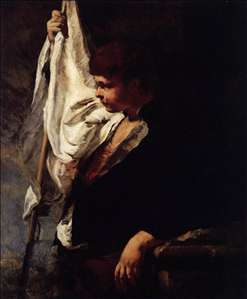 His drawings are well represented in the Royal Collection at Windsor Castle. See more details about "The Virgin Appearing to St Philip Neri"
See more details about "Three Dominican Saints"
See more details about "The Ecstasy of St Francis"
See more details about "A Young Ensign"
See more details about "The Guardian Angel with Sts Anthony of Padua and Gaetano Thiene"
See more details about "Idyll at the Coast"
See more details about "Rebecca at the Well"
See more details about "Shepherd Boy"
See more details about "The Soothsayer"
See more details about "St James Brought to Martyrdom"